About Us – Deltera Inc.
Deltera Inc. is a unique construction services company. A true innovator, Deltera, as part of the Tridel Group of Companies, has been a leader in the residential market for over 65 years. Deltera is the natural evolution of a successful family-built company going back to the 1950’s – a company started by Jack Delzotto and later headed by his 3 sons, Angelo, Elvio & Leo. They started in development of subdivisions and apartment buildings which later expanded to condominium buildings when the Ontario Condominium Act was passed in 1968. In 1972, the founding management team for Deltera created a new forming system called Aluma, using aluminum instead of steel for lighter and more efficient forming methods. This product completely revolutionized the industry and to this day the Aluma Beam is one of the most trusted concrete construction solutions in the world. Since then, Deltera continues to be a leader and innovator in the construction industry. Currently, Deltera’s research team is focused on building more energy efficient and environmentally friendly buildings achieving LEED certification. A trusted name in the industry, Deltera is proud of numerous awards and long-standing client relationships. Deltera is managed by an Executive Team who’s experiences with the company averages approximately 25 years. The Construction team is headed by Greg Nevison who is the Senior Vice President of Construction. Most of our Site Supervisors and Project Managers have been with the company for 10 years or more and many have been internally trained and developed since graduation. The company’s foundation is its outstanding people who set the benchmark for pride and professionalism. 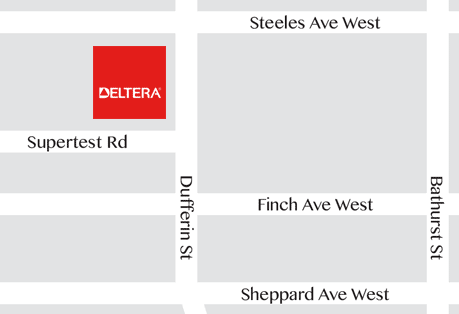 If you would like further information about Deltera, please email us at info@deltera.com or call 416-736-8353.